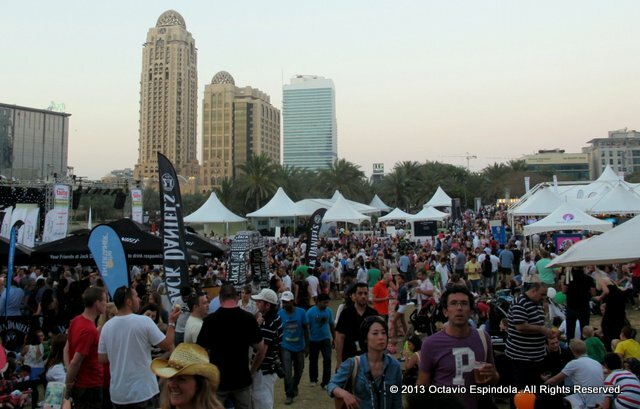 Today for the first time in 4 years of living in Dubai, I went to the Taste of Dubai Festival. I didn’t go before simply because I didn’t know about it – yes I know, I didn’t know that Marmite existed and I didn’t know about Taste of Dubai… where have I been living?– but I must say, it is definitely worth a visit. You don’t have to be a chef or a food amateur to enjoy it (I mean, how doesn’t enjoy food?). It’s just spending a day outdoors eating and drinking until midnight! As a first-timer I had a great experience, and as we all know, first times are rarely great. 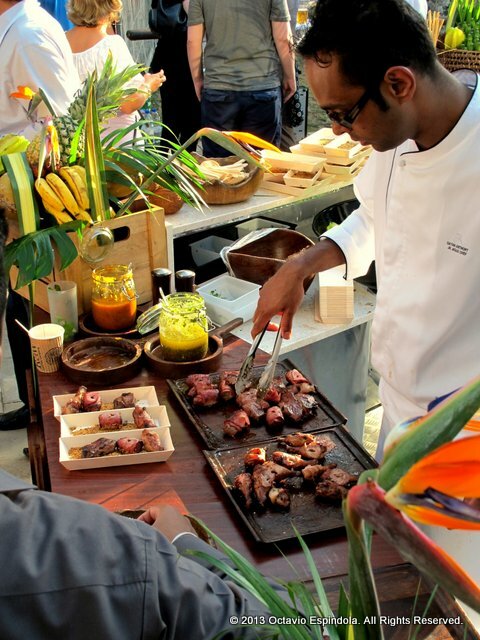 For those of you who, like me, don’t know what it is about, let me tell you: Taste of Dubai is basically a food festival exhibiting food and drinks from 30 different restaurants in Dubai, all of which have stands offering a short menu. 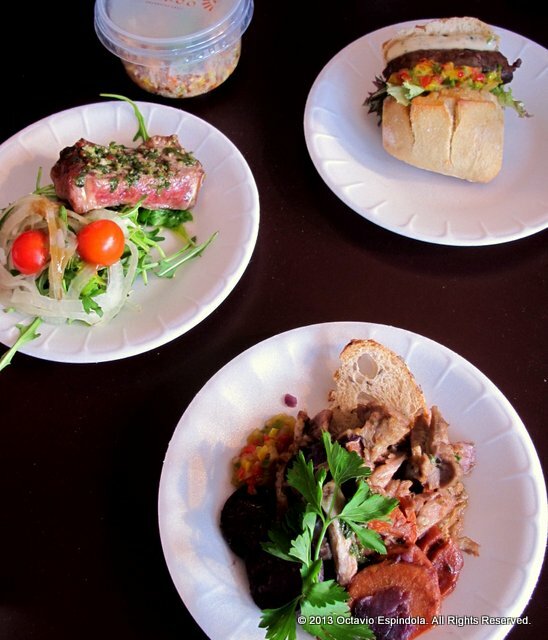 At every stand you will find an average of one or two starters, two or three main courses and one, or may be more, deserts and some wine options (one red and one white). Some of them offer other drinks like Sake or Prosecco. As if this wasn’t enough they have a Cookery School, where you can take a class for free; a Chef’s Theater, just like a live cooking TV program (in fact they had Food Network’s celeb Reza Mahammad); a stage for live music and much more. I was particularly interested in trying out food from some of the restaurants that I’ve never been – specially the Argentinian ones–, like Asado, Gaucho and Nobu just to name a few. So I packed my camera and off I went to Dubai Media City’s amphitheater where the festival is being carried out from the 14th till the 16th. Being so far away from Argentina I was very excited to find this here. Choripán is a chorizo/sausage sandwich, a very popular street food in my country. This one in particular was good, but it could be better: first of all, the chorizo was a beef sausage (in Argentina, chorizos are made of pork or a beef and pork mixture) and it had a bit more cumin that what I would have preferred. Second, the bread was a bit chewy and sliced across the top of the bread and not across the side as it should be – trust me, it makes a huge difference–, but all in all, it was a taste that I had longed. I am not a big fan of Dulce de Leche, but I am of Malbec and I would sell my mother for an ice cream. That and the fact that I’m all up for weird mixtures of flavors took me to try this one out of the two deserts that Asado has on it’s menu. Simply amazing! It is a grilled cut of Sirloin, marinated in garlic, parsley and olive oil served with a Humita. Although the steak was juicy and very tender, the Humita was the best part of the dish. It tasted like home. Humita is northwestern Argentinian dish prepared mainly with corn and cheese wrapped in a corn husk and boiled. It can be either wrapped or not. If it is, it would be like a purée and if it’s not it can be almost like a soup. The one at Gaucho is wrapped and delicious. You can even see the strings of melted cheese as you separate the husk. Grilled chicken, beef wrapped in bacon and more beef served on Farofa, which is toasted manioc flour. Very tasty, juicy and tender. Besides is the only place that featured pork in the menu. 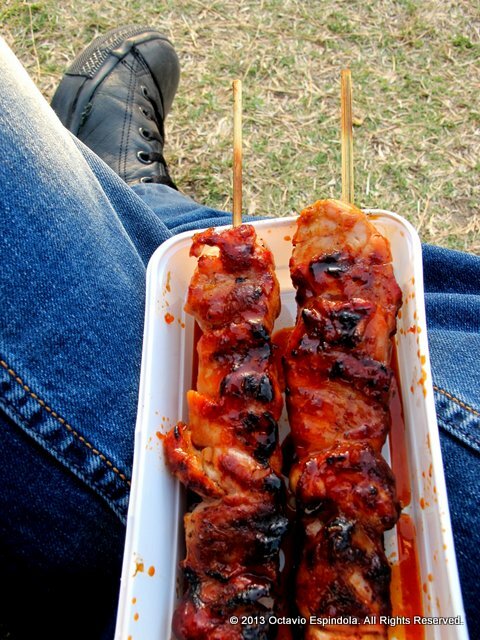 Dakkochi are Korean chicken skewers marinated in Gochujang, loved it! I was really looking forward to try something from Nobu. Unfortunately, their menu was not very appealing to me, but I couldn’t leave without trying something, at least. So, I opted for desert: love, love, love Mochi ice cream. It’s my new obsession. 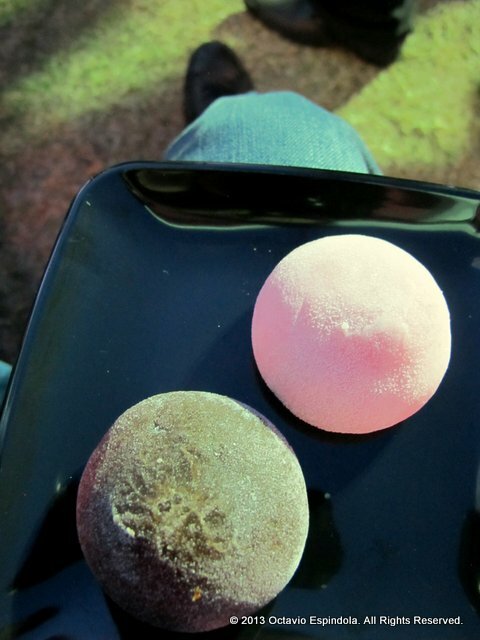 Mochi is a paste made of pounded glutinous rice and then wrapped around ice cream, thus Mochi ice cream. As I said before, Ice cream is my weakness and what better than to add a bite to it by wrapping it with this very particular paste. It’s a must try, so if you have not tried it yet, go for it! 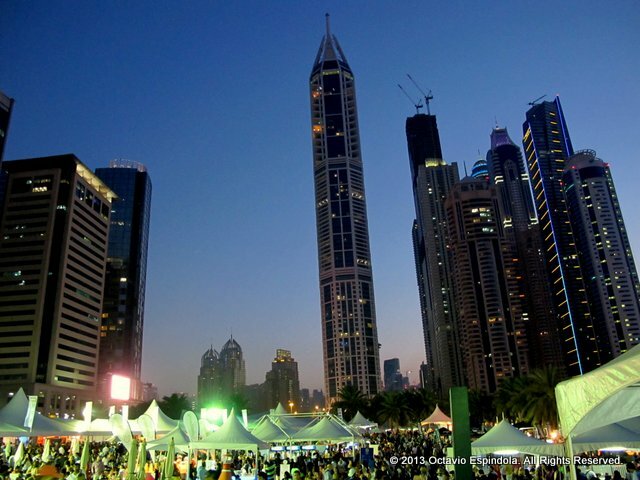 As you can see, the festival may be called Taste of Dubai, but it is actually a taste of the world. 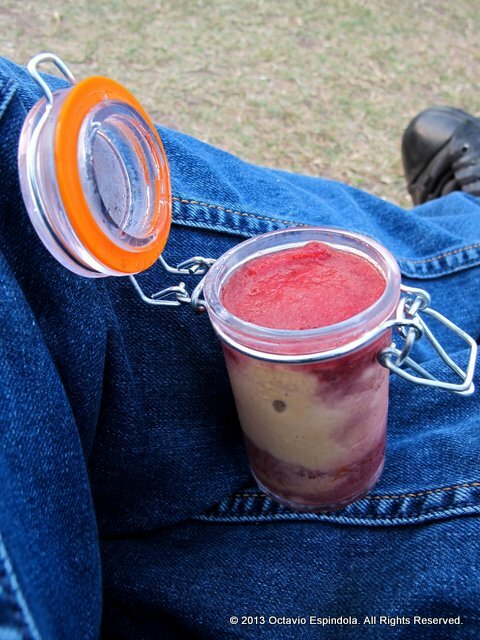 It felt great to be there: nice weather, nice food, drinks… What else could I ask for? I can’t wait until next year. If you’re wondering why I took photos of the dishes on my lap, it’s because I sat on the grass since all the tables were taken. I really like the concept of this blog, food is more than just eating. Dubai sounds like a place with a rich diversity of foods- great setting! Totally agree on that, thanks for stopping by. Dubai has indeed a very wide diversity of foods. At the same time almost everything is imported and some things don’t taste the same, but is good to have the chance to experiment new foods in your city.